Columbine, Virginia Tech, Sandy Hook—long before the tragic events associated with these names, there was another: Austin. Fifty years ago, a sniper named Charles Whitman opened fire from a perch atop the University of Texas Tower in the first mass school shooting in U.S. history. Whitman’s horrific rampage, in which he murdered 16 people and wounded more than 30 before being killed by Austin police officers, “introduced the nation to the idea of mass murder in a public space,” as magazine editor Patricia Colloff put it. Looking back over half a century, the tragedy of August 1, 1966, can be seen as the beginning of a chapter of American history that is sadly still with us, and that goes beyond just schools—as names like Aurora, San Bernardino, and Orlando attest. The shooter, a 25-year-old ex-Marine who was attending UT as an architectural engineering student, gained access to the Tower’s observation deck by posing as a maintenance man. Whitman had already murdered his mother and wife before bringing three rifles, two pistols, a sawed-off shotgun, and a cache of supplies to the campus. Just before noon, he began firing at random from his vantage point about 250 feet above ground level. For more than an hour and a half, he held everyone within a five-block radius hostage, until finally a group of Austin police officers made it up the Tower and killed Whitman in a gun battle. It wasn’t until 1999 that the university dedicated a memorial garden near the Tower to the victims of the shooting, and a monument has been added this year. On the 40th anniversary of the shooting, in 2006, Texas Monthly published Colloff’s retrospective oral history of eyewitness testimony. 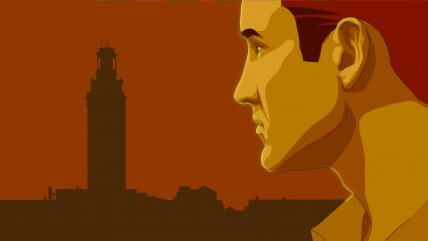 This collection, now available online, has been joined by new reflections on the Tower shooting, including Tower, an award-winning documentary that dramatizes the events through a mix of archival news footage, reenactments, and animation. Official website of movie; includes trailer.